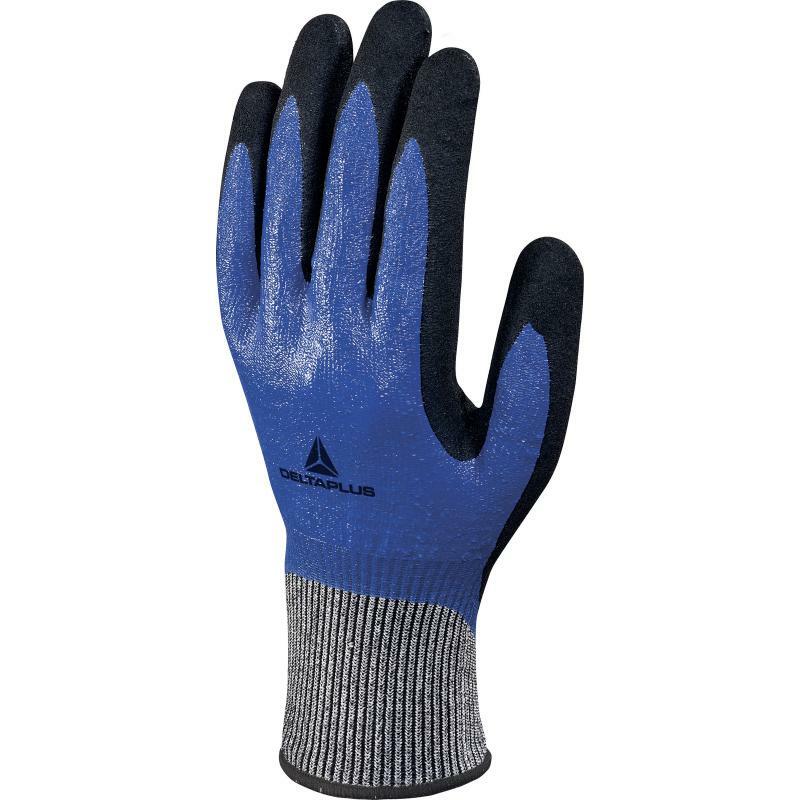 With their double nitrile coating, the Delta Plus Venicut VECUT54BL Oil Resistant Work Gloves combine excellent resistance, good grip and increased protection of fingers. 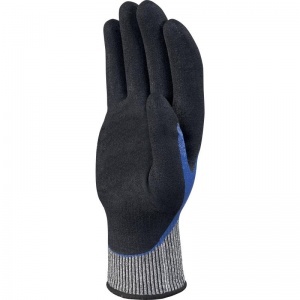 The first smooth nitrile coating makes them suitable for work in oily conditions, while the second layer ensures outstanding grip and protection. The Venicut VECUT54BL Oil Resistant Work Gloves are available in a choice of sizes, which makes them suitable for most users. Please consult the table below for details, then select the required size from the drop-down menu at the top of the page.